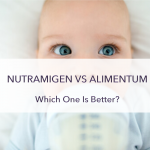 Many of you have requested a detailed and thorough review regarding the difference between nutramigen and alimentum after having read this review here, so here we are, answering all the questions and queries you have regarding these two giant players in the specialized formulas industry. 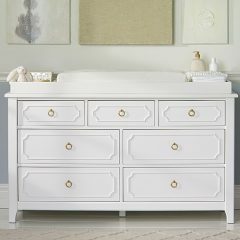 Many of you would have come to this page after searching for solutions for your gassy or colicky baby. 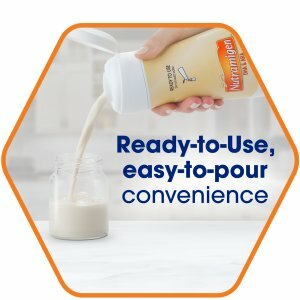 So the terms 'nutramigen' and 'alimentum' wouldn't be new to most of you but for those that do not know, they are basically two types of specialized hypoallergenic formulas manufactured by giant infant formula brands - Enfamil and Similac - that targets babies with reflux, gas, colic or allergy problems. If your baby is struggling to sleep, has excessive gas and cries for more than three hours a day, s/he may be experiencing colic due to cow’s milk allergy, meaning, they cannot tolerate a certain protein that exists in cow's milk. Such intolerance will trigger their immune system to overreact, causing symptoms like rashes, hives or even breathing difficulty or loss of consciousness to occur. This is not simply a case of mild intolerance but more on a serious scale. 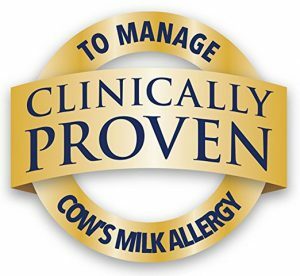 Babies with cow’s milk allergy also have a higher probability of developing other allergies such as asthma or eczema. On the other hand, babies that are lactose intolerant lack a certain enzyme that breaks down lactose in their little body. As a result, it causes gassiness, bloats and cramps that make baby extremely fussy. While it can be pretty uncomfortable for baby, milk intolerance as such is not as life threatening as milk allergy but nonetheless, you would want to ease and relief baby from such discomfort, and one way is to put them on a specialized formula. As both are rather similar products, the 'enfamil vs similac' question is often inevitable: which one is more superior? 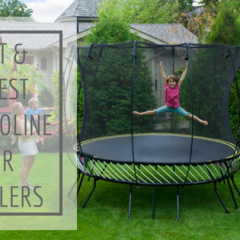 While there is a certain difference in their formulation and ingredients, both are hydrolysate in that they contain partially broken down milk protein chains while still being milk based powder. This aims to tackle the abovementioned problems because baby's tummy doesn't have to do as much work in its digestion. 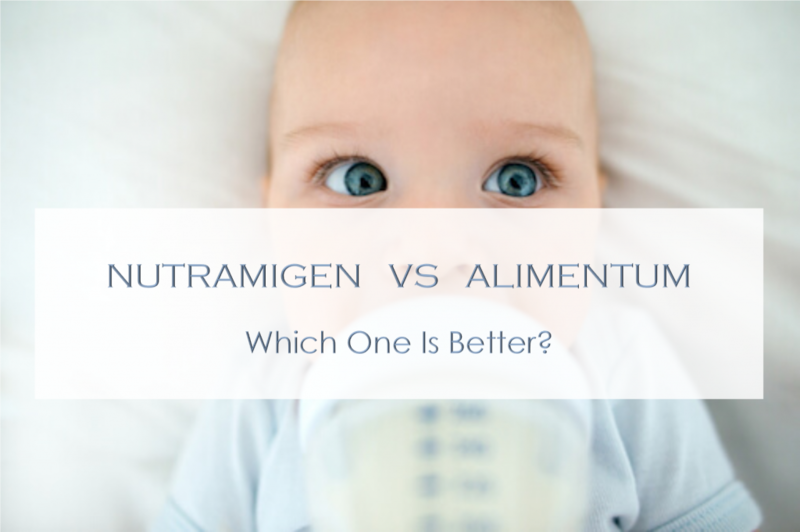 Ultimately, when it comes to the nutramigen vs alimentum debate, we have to say it is not a matter of which wins out over the other, rather, it very much depends on your baby and his/her unique taste. What may be the ultimate solution for one baby's reflux or colic problem may not necessarily work on another baby, so it is a matter of trial before you find the one that works for you. However, our guided review below aims to assist you in making an informed decision so that you may hopefully get it right the first time around because, well, who doesn't want to save their baby from these pain and discomfort as soon as possible, right? Out of all the ingredients listed on the left, we'd like to highlight the existence of the probiotic LGG - the most extensively studied probiotic for allergy management and digestive health support of your baby in its formulation. This helps baby's immune system gets the support it needs to build up their tolerance to milk proteins so that you can switch to a more traditional formula sooner. Which brings us to our next point - the age. The Enfamil Nutramigen is catered to babies 0-12 months old because they are most vulnerable at this stage after which many would have outgrown their intolerance by the age of 1. However, before that, the nutramigen works as a great relief to ease babies of these symptoms and discomfort. intestines like how traditional formula might, and with the aforementioned probiotic that promotes healing and strengthening of the intestines, problems like colic, reflux, and gas can be managed and controlled thoroughly. At least through the first 12 months of age, nutramigen alone is enough to meet the complete nutritional needs of your infant without any other supplements. While you should generally wait for at least two weeks after making the switch to specialised formula to determine if it works for your little one, many parents have found rather instant improvement with nutramigen as early as the first feeding. 90% of infants reportedly found relief within 48 hours, so we'd say you would have a rather high chance of getting it right with enfamil nutramigen. If you do not already know, babies who are allergic to cow's milk are more prone to have other allergies such as asthma, eczema rhinoconjunctivitis and urticaria. With nutramigen, there is a 50% chance these challenges will not happen and this is clinically proven by medical experts. Further, it has also proven to have helped babies return to consuming milk protein at a later stage without an allergic response. We have to be honest, nutramigen is not the tastiest milk around but so are the other specialised formulas (including alimentum). This is unavoidable for hypoallergenic formulas, they will have a stronger smell and taste compare to traditional milk or soy formulas. The good news is, your baby is likely not able to tell the difference, especially if you start them young but do be prepared that your little one may reject it. Being a specialized hypoallergenic infant formula, you have to be prepared that the Enfamil Nutramigen does not come cheap, at the very least, it is more expensive than traditional infant formulas. However, you're probably aware already that cost is going to be high when your baby needs a special formula. Our advice? Subscribe to a plan or buy in bulk to help save some bucks on this amazing formula. Store nutramigen only at room temperature - do not ever freeze the powder or expose it to excessive heat because it may separate in the refrigerator. After opening the can, keep it tightly covered and store in dry area. We don't recommend using a baby formula dispenser or bottle maker system because hypoallergenic powder tends to clump up, so just prepare and mix it manually. Remember, the contents must be finished within 1 month but that wouldn't be much of a problem, if any. If you're wondering whether or not there is a difference between the two versions, aside from the obvious convenience that ready to feed can be consumed immediately upon pouring, well, the answer is yes, there is one major difference. 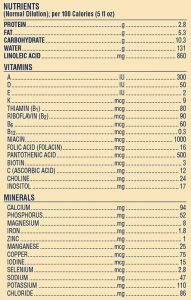 Alimentum ready to feed (rtf) has a slight variation in its formulation in that first of all, it does not contain corn and secondly, it has lesser soy content than its powder counterpart (1% vs 8%). What this means is that it eliminates even the last bit of source that may cause an allergic reaction in babies (some are severely allergic to soy or corn) so one can say that the alimentum ready to feed is more foolproof. Apart from that, alimentum rtf also eliminates any bubbles resulting from shaking when you manually mix your infant powder, as a result, even more gas is reduced thus further lowering the chance of reflux or colic. Also, some parents noticed that baby's stool turns funny with the powder version in that, and pardon us for the slightly graphic description, it looks like there is mucus in them which otherwise is nonexistent when baby is fed rtf. Not everyone experienced this though, so keep note of that. 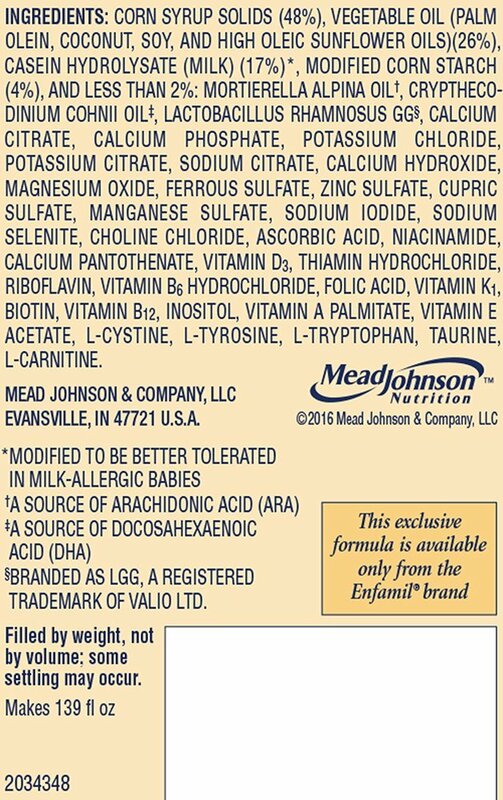 If you want a completely soy free hypoallergenic formula, then look no further, the alimentum ready to feed is the answer for you. And while there will be a slight odor to any specialised formula, parents have claimed that this one here is easier to the nose compare to powder. 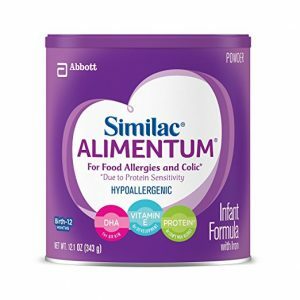 Similarly, alimentum caters for newborns up to 12 months of age after which, hopefully, you will be able to switch to traditional formulas after baby has outgrown his sensitivity stage. In terms of nutrients, like nutramigen, it has everything baby's body needs including DHA and ARA, special nutrients that are found in breast milk that are important for helping support brain and eye development. 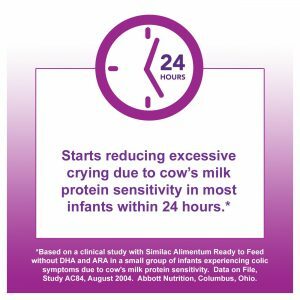 Likewise, predigested protein that is fully broken down into tiny pieces is included too to virtually eliminate allergic reaction in most babies who are allergic to cow's milk protein. Further, Similac is the first leading infant formula brand that guarantees the no-use of artificial growth hormone. Alimentum claims to start working within 24 hours, though there is no guarantee to this. This is because different babies have different preference - it could be very well that your little one may reject the alimentum due to its taste or smell, but for those that can accept it, it will be a relief to know that it provides almost instant relief in just 24 hours. There is no exception in the taste department - alimentum shares the same fate as nutramigen in that it has a stronger taste and smell than traditional formulas. To some, it can be pretty nasty but babies generally seem to be quite accepting of it since most have never been exposed to much other tastes, so that is a relief. And as mentioned above, we do notice its ready to feed version has a more forgiving smell which makes things a lil easier for the moms. 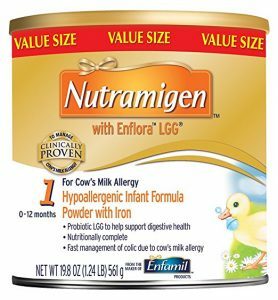 While it is certainly an expensive formula being hypoallergenic, it does come slightly (just slightly) cheaper than nutramigen but when it comes to your baby with special dietary needs, we think choosing one that works best on him/her is the priority as opposed to choosing based on price. And it is only a few cents difference, anyway. 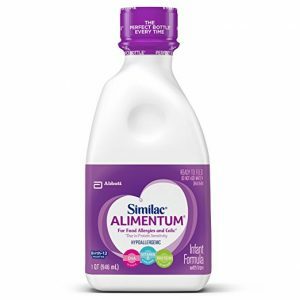 Powdered infant formulas like the alimentum are not sterile so they should not be fed to premature infants or infants who might have immune problems unless directed and supervised by your baby's doctor. As with anything special related to your baby, we recommend to always consult baby's doctor first before switching formulas. And oh, never use a microwave to warm the alimentum! 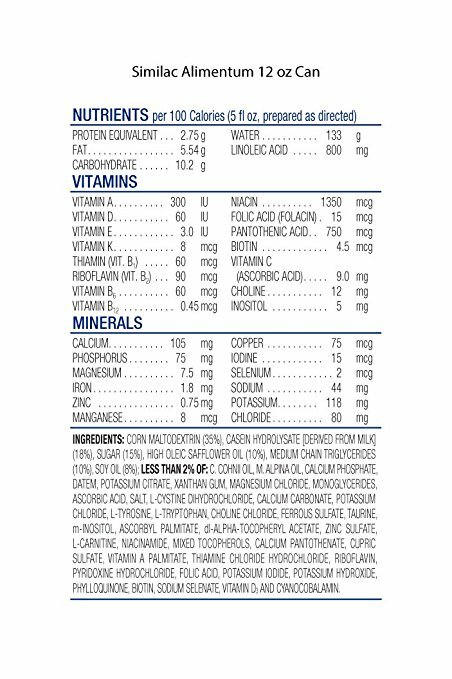 If you have read all the way up till here, you would have known by now that there is no one product that is more superior over the other when it comes to the question of nutramigen vs alimentum. Ultimately, it depends on the individual baby on a few factors - how serious is their sensitivity and intolerance, as well as their own unique taste and preference. But one thing that is for sure - either nutramigen or alimentum will provide some form of relief in one way or the other for babies with special dietary needs. Good luck!